Black Eye Games today released an extensive update aimed at improving the competitive combat elements of Gloria Victis alongside huge improvements to the environment including brand new locations and area objects. 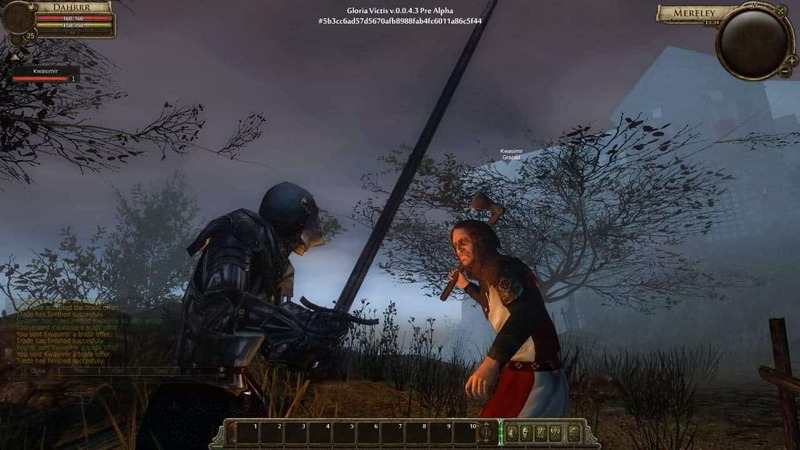 The Mount and Blade style MMO has already attracted a huge following even in its early stages of development thanks to a skill-based combat system that rewards players based on their ability, not the level of their gear or items. One of the most exciting elements of this update is the introduction of headshot detection in PvP combat, allowing players to deal huge amounts of damage to their opponents if they are able to land a powerful blow to the head. Supporting the combat improvements in PvP is a new reward mechanic that provides PvP players with experience points, where previously they were absent. The final improvements to combat sees better blocking and movement actions thanks to faster and smoother animations. The world of Gloria Victis welcomes new locations today as Old Battlefield and Fangsborough bring new raiders camps, a town to capture and new development options. Supporting the new development areas are more defensive objects that allow for upgrading of gate towers, providing additional defensive options through the dropping of stone and wooden logs. The team also touched on the elements they’re currently working on including an upcoming rework of inventory and guild systems, as well as a revamp of the buffs and debuffs system.